Putting aside all my griping and complaining and lamenting (I'm working on it! ), I want to do what we all are supposed to do this week: Count my blessings and be thankful. 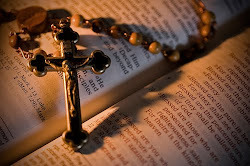 Whereas it is the duty of all nations to acknowledge the providence of Almighty God, to obey His will, to be grateful for His benefits, and humbly to implore His protection and favor; and—Whereas both Houses of Congress have, by their joint committee, requested me “to recommend to the people of the United States a day of public thanksgiving and prayer, to be observed by acknowledging with grateful hearts the many and signal favors of Almighty God, especially by affording them an opportunity peaceably to establish a form of government for their safety and happiness:"
And on that note, I am thankful, 225 years later, to be a citizen of America, which is still the greatest nation on earth. My immigrant father taught me early on that this nation really is different, and despite my concerns with the direction we are going, I wouldn't want to live anywhere else. I'm deeply, deeply grateful for the privilege of living in America. I am thankful that my father is doing well, after a harrowing year, medically speaking. Multiple heart issues/procedures and a second recurrence of his cancer gave us many touch-and-go moments. But my parents were able to go on their 50th anniversary cruise last month and they will be hosting the family for Thanksgiving at their home, as usual. A real blessing that we are not taking for granted. I am thankful that my cousin and dear friend Michelle, who was diagnosed nearly a year ago with stage IV non-smoker's lung cancer, is doing well and continuing the good fight. She is a beautiful and holy woman, a single mom to three teen girls, and our entire family is so grateful that she is in a better place this year than she was last Thanksgiving, right before her diagnosis. May God continue to pour his grace and healing down upon her. I am thankful that my daughters are with their wonderful husbands for Thanksgiving this year, and although it's the first year we will feast without them, they are never far from our hearts and only a plane ride away. I am thankful for my dear sons-in-law (faithful, honorable men), and for my beautiful granddaughter Felicity and my grandson who is still in the womb. I am thankful that this year, thanks to some special suffering I endured, has been incredibly fruitful spiritually. In moments of real torment, I clung tighter to Him, realizing that ultimately, He is everything and He is all. 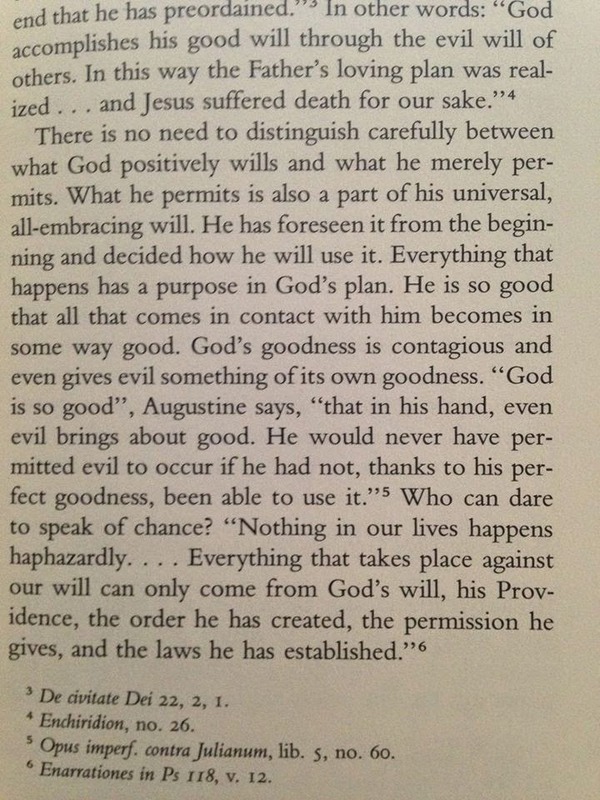 What a profound, unmoving consolation in times of trial and disorientation. 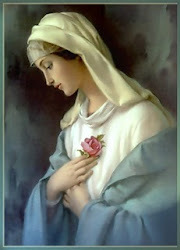 And Mother Mary was right there by my side at every moment, just as she has been since I was a small child, even when I didn't recognize it. I am thankful for my husband, whom I do not deserve. He puts up with me and loves me no matter what. We have built a life together. Yes, it only hit me a few weeks ago, we have built a life together. And he feeds me! The man feeds me! Oh, how I love him for that. I am thankful for the nine children he gave me, eight of them still here on this earth. Those precious, irreplaceable, unrepeatable children are the only earthly treasures we get to take with us into eternity, and if I went into how thankful I am for each one of them, this blog post would never end. I am thankful for the best girlfriends I could ever ask for, and you know who you are. You ladies keep me laughing and sane, and you keep me steady on the path to sanctity. We're in this journey together, and you are strength for the journey. And one of those best friends is my sister, Pauline, whose friendship and support are invaluable in my life, every single day. God truly blessed me with the best big sis in the world! I am thankful for all of you, my Bubble family, because you teach me so much every time you comment and every time you email, even when you blast me. I need it! I need to be challenged and humbled and I have always needed to learn how to love better. You have helped me greatly in this regard, and I thank God for you. There is so, so, so much more I am thankful for, including the soft bed I am about to fall into. I pray that you all have a wonderful Thanksgiving with your family and/or friends, and I would love to hear what you are thankful for this day! ...And also that we may then unite in most humbly offering our prayers and supplications to the great Lord and Ruler of Nations, and beseech Him to pardon our national and other trangressions; to enable us all, whether in public or private stations, to perform our several and relative duties properly and punctually; to render our National Government a blessing to all the people by constantly being a Government of wise, just, and constitutional laws, discreetly and faithfully executed and obeyed; to protect and guide all sovereigns and nations (especially such as have shown kindness to us), and to bless them with good governments, peace, and concord; to promote the knowledge and practice of true religion and virtue, and the increase of science among them and us; and, generally, to grant unto all mankind such a degree of temporal prosperity as He alone knows to be best. John Howland and Elizabeth Tilley, who married a few years after they landed in Plymouth. It's amazing to think of them feasting at the first Thanksgiving. because otherwise I wouldn't be here! I'm getting political because this is about morality. This touches on sins that, according to Catholic tradition and Scripture, "cry out to heaven for vengeance": oppression of the poor and defrauding the worker of his just wages. Not to mention a violation of the Eighth Commandment against bearing false witness. This man, this Professor Jonathan Gruber of MIT, this elite, arrogant academic who called the American people stupid time and again (watch the video), happily pocketed a cool six million of those taxpayers' dollars (suckers!) while admitting to deceiving and manipulating the public in order to force through Obamacare (watch the video), a scheme that has cost many working folks their health care plans and has raised premiums and deductibles through the roof. The question isn't Why does Jonathan Gruber still have a job at MIT? (though it's a good question), but why is he still walking around free? Power corrupts, and absolute power corrupts absolutely. Government has unlimited power and resources, which is why it is infinitely more dangerous than any corporation. Gruber is untouched because this was government work, and the most powerful people in the nation were totally on board with what he did (even if they now conveniently deny knowing the chap, which is laughable in this age of video proof). Corrupt government, unlike corrupt business, is almost never accountable. If one or more executives in the private sector had been caught committing such massive and systematic fraud while raking in millions, we know what would happen and how the press would be all over it. Think Enron and Bernie Madoff for starters. I guess my question is for those who have supported Obama and Obamacare. What do you think of this? What do you believe about the morality here? Do you believe, as Gruber stated, that the ends justify the means? That lying and scheming and obfuscating are necessary to get to the "good outcome" that will bring about wonderful things? One of the reasons I write this blog is that I want a record for my children and grandchildren. When the world has gone haywire (and when hasn't it, really? ), I want a written account of what I believed and why. This scandal is an injustice and I will use my very small voice to speak against it. I am on the record. I am very much interested in the reactions of my readers, and especially those on the left. How lame is this? 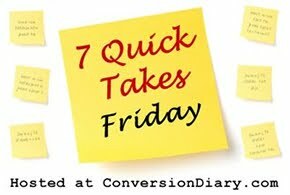 I sit down to begin a Friday Quick Takes on a Saturday night. Oh, my. 1) As if it were not enough that I met the incredible Abby Johnson a few weeks ago, last night I met the incredible Walter Hoye at the Bioethics Defense Fund's annual "Passion For Life" event, where he was this year's honoree and speaker. You all know that I'm a shamelessly obnoxious name-dropper (because I still can't believe I somehow get to hang out with these outstanding people), but in the case of Nik Nikas and Dorinda Bordlee (the two attorneys who founded and run BDF), I am honored to say that they are long-time personal family friends. I am blown away by the work they do: "Law in the Service of Life". Heck, Chief Justice John Roberts cited their research in a recent Supreme Court decision, and it's literally just Nik and Dorinda running all over the country and the globe. Heroes they are, and I don't say that lightly. The mission of BDF: Bioethics Defense Fund (BDF) is a public-interest law firm whose mission is to advocate for the human right to life via litigation, legislation and public education. The issues they address: BDF provides legal expertise and public education on the issues of healthcare rights of conscience, abortion and its impact on women, human cloning/destructive human embryo research, and end of life issues including physician-assisted suicide, healthcare rationing and denial of care. Not to mention the new horizon of human reproductive trafficking, which I hope to address soon on this blog. Really horrific stuff going on and the public needs to be informed. As the Culture of Death expands its dark tentacles, BDF will be there to fight for life on every front. God bless them, and let's always have their back! 3) Okay, people! How is it possible that we are approaching Thanksgiving, Advent, and Christmas yet again? How is this happening so fast? Well, just your luck, I have a brilliant way for you and the family to prepare your hearts and minds. The lovely Leila Lawler (I am so blessed to share her name!) 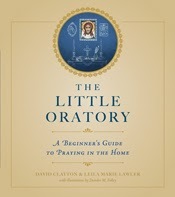 and David Clayton have published The Little Oratory: A Beginner's Guide to Praying in the Home, something I've needed and wanted for a very long time. You know how it is, right? We moms are trying to get a prayer life going for the family, or have a little "prayer station" or sacred space where members of the family, collectively or individually, can recollect and pray. I never really knew what that was called, but now I know it's an oratory! "Consisting of a modest table and icons, the little oratory is a visible sign of spiritual awareness and devotion.... Building your own little oratory is simple, and in these pages you'll discover just how easy it is. In fact, you likely have most of the pieces in your home already -- except perhaps the sacred art." So guess what? The book includes eight full-color icons ready for framing! Boom, you are setting up your oratory and will be ready for the holy seasons. I love practical help on the road to sanctity. Rest easy. God is still in control. And He loves you. 5) I saw this on Princeton Professor Robert P. George's Facebook page today, and I had no idea this was happening at the Vatican, did you? It looks great! 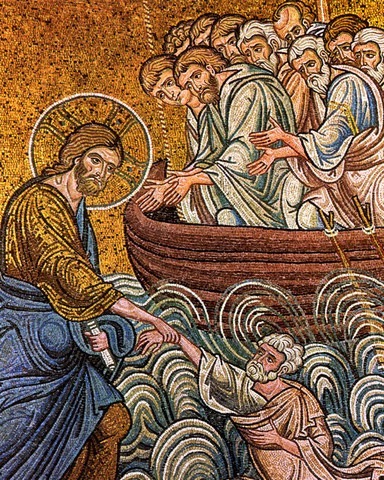 Today I leave for Rome for the Vatican colloquium entitled "The Complementarity of Man and Woman in Marriage: The Witness of the World's Religions." It will begin on Monday morning with an address by Pope Francis. Rabbi Jonathan Sacks will also speak that morning, as will representatives of the Protestant, Muslim, and Jain traditions. Later we will hear from leaders and scholars drawn from Eastern Orthodoxy, the LDS Church (President Henry Eyring), and the Hindu, Sikh, and Buddhist traditions. I'm especially looking forward to speeches by Dr. Jacqueline Cook-Rivers, Pastor Rick Warren, Sister Prudence Allen, and Pastor Christoph Arnold, and Dr. Russell Moore. I will participate in one of the "scholars panels," as will Mary Ann Glendon, Rabbi Meir Soloveichik, Dr. Aaron Kheriaty, and several others. Praying folk, please ask for God's blessing for this event. I am hopeful that great good will come of it. We must unite across borders and traditions to uphold marriage and build or rebuild vibrant marriage cultures in our societies. I'm glad that Pope Francis sees that and was willing to have the Vatican convene this gathering of religious leaders and scholars. This is true leadership. I will, as I am able to do so, post reports from the colloquium. 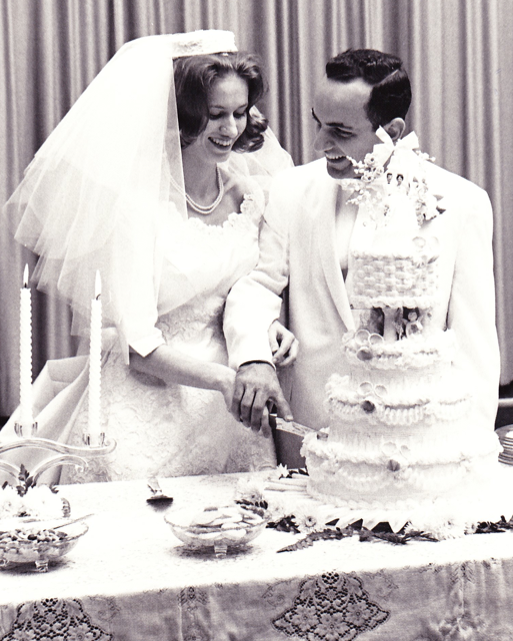 6) Speaking of marriage, congratulations to my mother and father, who just celebrated their 50th anniversary! I pretty much owe my life to their decision, ha ha. Weren't they adorable? I wore my mom's dress for my own wedding, and my daughter used their cake topper for her wedding. 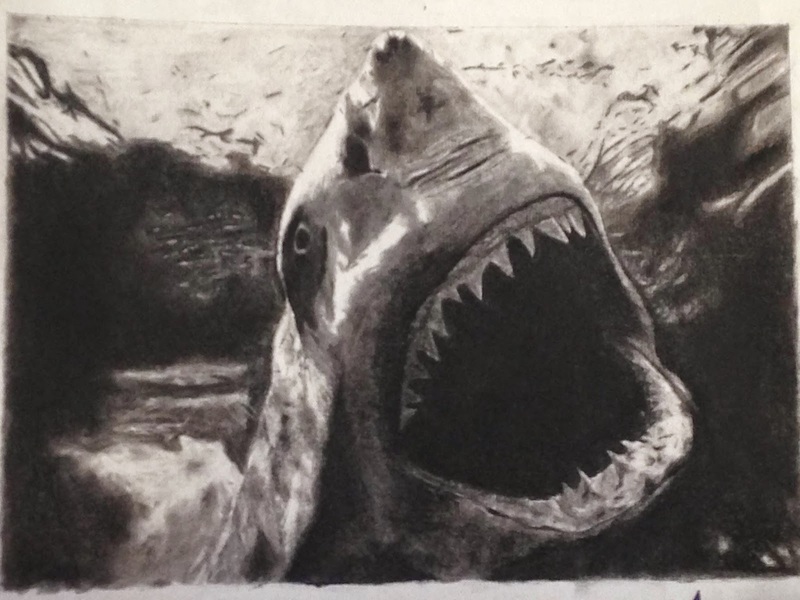 And since we are doing some family stuff here, I just really wanted to post my son's charcoal drawing. I know you are terrified and backing away from your computer right now, but don't worry, it's not real and it won't actually eat you. Paul is a 16-year-old junior, and the kids at his charter school are required to take art as part of their core curriculum. It is absolutely astounding what all the kids learn and are able to accomplish. 7) Last but not least, I want you to meet Emil. Oh, this boy is already a teenager and he's been waiting too, too long! He has a large grant ready to be used by any family who will adopt him, and he is apparently a real sweetheart. From a missionary who visited with him in August 2014: Emil is a little rascal that loves attention. He likes to climb up on your lap and blow raspberries. After I kissed him on the cheek he kept squishing his face against mine so that I would kiss him again! He is one smart cookie. He can verbalize lots of different sounds, so he would learn to speak in no time. He can stand and take a few steps with assistance when he wants to! He is lots of fun and needs a Mama and Papa! God bless Emil, and please spread the word. 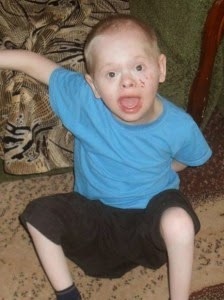 And pray for this boy to find a home. And just a reminder that if you do your amazon Christmas shopping through this blog (simply by clicking on the Amazon link on the right side of the blog, then shopping as usual), every penny of the commission I get goes to help families bring these orphans home. It's an expensive, grueling journey for the families who step up, and this is one way we can assist them. Have a fantastic Sunday and thanks to Jen for hosting! I've always contended that it's not easy to have and raise eight children, and that is absolutely true, but I want to confess right now that it is easier for me than for many of you out there. Why? Because I have a city-wide community of friends and acquaintances who have oodles of children, too. I'm talking dozens of women that I know -- dozens upon dozens -- who have broods. I see them everywhere, I go to events with them, I party with them, our husbands are friends and business colleagues, and we are all in the same boat, child-wise. Ladies with four, five, six... all the way up to eleven kids. One of my closest friends is about to give birth to her ninth child. Our children are friends, too. 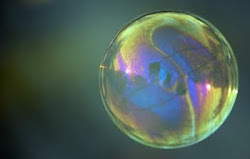 This reality is not freakish at all in my "bubble" -- it's normal, and it's celebrated. I've never known a time in the past 20 years when multiple friends were not pregnant (we jokingly refer to the "next crop" of babies to come), and I know more women having children into their forties than I can count. It's Catholic Mecca here in Phoenix. It is a beautiful, wonderful thing. But I know it's not like that everywhere, and I know that some of you feel isolated and lonely and even ostracized because of your big families. 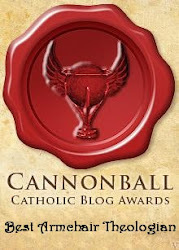 Some dioceses are wastelands as far as following or even understanding the teachings of the Church on marriage and sexuality, and I often hear the frustration from those of you who don't live in a Catholic Mecca, and who are frazzled, weary, and discouraged. It breaks my heart, and I am sorry. I don't mean to imply that we mothers-of-many here in Phoenix do not get frazzled, weary, and discouraged (because oh boy, we do! ), but I want to acknowledge that we have a consolation here that many of you do not have: We have each other -- a built-in support group of friends who are on call at all times. There is no shortage of women with whom to hang out, complain, cry, compare notes, and laugh about the chaos of it all. We see each other's messy houses, our children's shoeless feet and dirty faces, and we don't feel alone with our big-family problems. We feel supported, loved, cared for, understood, even on the days when we are clinging to the very end of our mommy ropes and our sanity. Even those of our friends who do not have large families stand ready to aid and support those who do. America is an incredible, amazing land. It's the greatest nation on earth. But it's also become a land of comfort and materialism, which is facilitated by contraception and sterilization. In the past, before the sexual revolution and Margaret Sanger's Birth Control League (now Planned Parenthood), mothers everywhere could celebrate new life and commiserate about the difficulties of raising so many little ones along with most everyone else on the block. It wasn't odd or freakish back then. The community of support was natural and the struggles were normal. Clearly, it's not like that today. 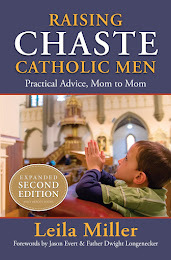 I wish every harried Catholic mom could experience the joy of a truly Catholic community, where talking about the trials of a big family is safe among friends; where the women understand that, although it's insanity in our houses and we are often stretched past imagining, we simultaneously love our vocation; and where we have many others picking us up when we get down and reminding us of the beauty and goodness of the life that surrounds us. I cannot remember a time here when a new pregnancy was not celebrated, even when the mother was initially scared out of her mind to see the two pink lines on that dollar store pregnancy test. The support and love for each other and for life is much more overwhelming than any struggles we encounter. This is as it should be! It is never easy to raise a big family under any circumstances, but with the encouragement of an entire community, it can be oh, so sweet. On our worst days, I know that my friends and I would not have it otherwise. Which brings me back to my heartache for those of you who do not have a supportive community. I hear you, I weep for you, and I am so sorry. You are truly heroic. You are the light and the witness in a world that needs it, but it's a heavy burden without a circle of friends who know what your life is like. If I had to go it alone, I shudder to think how I'd do. This post is simply to acknowledge you, and to assure you that God sees what you are doing, and He loves and supports you, even when it feels like no one else does. You have my gratitude and my love, and I admire you more than you will ever know. And if all else fails, move to Phoenix. Is Having Eight Kids Sketchy? So many thoughts, so much sadness over the last few days. Many in the nation encouraged Brittany Maynard as she approached her planned death by suicide, and many prayed for her to change her mind. I'm just going to throw out some basic points and ponderings, in no particular order, and then we can discuss any or all of it in the comments. Euthanasia is when a doctor or other health care professional actively and directly kills a patient, usually by a lethal dose. The killing may occur with or without the consent of the patient, and the patient may or may not be terminally ill.
Physician-Assisted Suicide (PAS) gives the doctor a more passive role, as he only prescribes the lethal dose but does not administer it. The patient has the pills in his possession and uses them to commit suicide (or not) at his own discretion. I want to make it clear from the outset: I don't know anything at all about the state of Brittany Maynard's eternal soul. No one can say where she is now, or what will be her eternal destiny. Only God can judge her soul. I can tell you that my heart breaks for her, for her family, and for the medical situation they faced. I am praying for her soul, and I trust in a merciful God. Having said that, we can certainly judge actions as right or wrong, and suicide (the murder of oneself) is always objectively a grave sin. The Catholic Church steadfastly opposes euthanasia, PAS, and suicide, because she stands for the dignity and inviolability of human life, always. This issue has been carefully presented as one of "compassion", and yet this should not be a competition about who who cares more vs. who is mean and heartless; after all, if we measure compassion simply by how much suffering can be avoided at any cost, then the most compassionate thing we could do would be to quickly and painlessly kill infants as they are born, no? Because no one gets out of this life without excruciating suffering of some type or another. Suffering is not meaningless, and it is in the mystery of great suffering that we are often most human, and closest to the Divine. Killing human beings is never, ever "compassion". This national debate that Brittany actively and intentionally brought to the fore is not about whether or not she would be able to choose death. People who have severe suffering (physical, mental, and/or emotional) kill themselves every day and no one can stop them. No one could have stopped Brittany from committing suicide, especially as she had the support of her family in doing so. Brittany's firmly stated cause was to push for policy changes in all states, for implementation of legal physician-assisted suicide. The result of such laws is a corruption of the practice of medicine, making our health care professionals complicit in killing human beings (similar to what happened with legal abortion), and it is not a road we want to go down as a society. If you are unconvinced, take a look at where the Netherlands and Belgium are with euthanasia now -- The Dutch are euthanizing the clinically depressed, and Belgium recently voted to euthanize children. It used to be axiomatic: Doctors should be healers, not killers. The news of Brittany's death was not released by her family, but by "Compassion and Choices" (formerly known as the Hemlock Society). That fact alone is bizarre, and it appears that she was used as a poster child for a political cause. She will continue to be used from here on in, and she will be used because she's young and beautiful. The many old and unattractive people who kill themselves, or whom doctors help to kill, do not make for good fundraising, advertising, or advocacy. They are not as useful and appealing when promoting death and suicide. For a day, it looked as if Brittany would let the November 1 suicide date pass by. She hinted in a video that she might want to live a little longer, that life was still good. Then, the next day, "Compassion and Choices" announces that she had "died with dignity". Some have wondered... was there great pressure to keep the date? To show how right was the cause? To make the much-anticipated and widely-cheered event go off as planned? I can't imagine the pressure. The euthanasia advocates finally had their perfect spokesperson ("She is the most natural spokesperson I have ever heard in my life.... she's teaching the world"), and they had the global spotlight. They needed everything to play out as promised. The worst thing that could happen for the "cause" would be a change of heart by Brittany. Anyone else have a weird feeling about this? My husband died from the same brain cancer and never gave up; he told me he wanted to fight to his last breath, and that is exactly what he did; THAT is heroism. To all those still fighting....you know who you are...don't let anyone steal your hope!! I have been beside myself as I watch the Culture of Death creep into our society. It's absolutely devastating. I imagine a day that doesn't seem so far off when people kill themselves because they had a bad day, all in the name of 'choice'. It feels like a celebration of death! It makes me feel like everyone who is fighting, or who has fought for their lives are somehow less heroic than this misguided young lady. I have a good friend fighting brain cancer as I type and she posted on my wall about how bad she's feeling. * People like her need encouragement, not to be robbed of hope! I keep looking at all the brain tumor warrior pages and wonder why they aren't lauded as being heroic. It really hurts. My husband didn't die in vain and will be more of a hero to me than anyone who is used as a pawn in a political issue. All this news coverage in the name of 'choice'...gah...it just. hurts. Remember after Robin Williams' suicide? Everyone was so devastated, and it hurt so much more than if he had died in any other way. But why were we devastated? He was simply ending his excruciating suffering, wasn't he? One could even argue that he was in a greater state of suffering at his death than Brittany was at hers. "It's not the same," you say, "because Robin Williams was not dying!" And yet, the argument Brittany made for her suicide was not about the fact that she was dying, but that she was going to face great suffering ahead. It was the suffering that was to be avoided at all costs, even the cost of an early, planned death. So, how is that different from Williams? He was in agony, clearly. He saw greater suffering ahead. He felt there would be no help for his pain. He ended his agony. Why was he wrong and Brittany right? Help me understand. Here's where it gets intensely personal for me: I have two very close family members who are currently fighting advanced cancers. Neither cancer is medically curable. I will not launch into the amount of suffering that they have and will endure, but I can tell you that my loved ones have been fighting the scourge of cancer like heroes. There is no moral mandate that they keep fighting indefinitely (please understand that! ), but they have fought their diseases with courage and dignity, and they will continue to do so. Life is precious, and it is not our own. There are millions around the nation fighting advanced cancer. When and if their cancer gets too advanced, and if they do die from it, they will have their dignity to their very last breaths. They will have died with dignity. To say that "Brittany Maynard died with dignity" by committing suicide, and to say that suicide is "courageous", implies that it is not dignified and not courageous to die otherwise. It is a slap in the face to my loved ones and to millions of others. Remember when we as a nation cheered Michael Landon as he refused to allow advanced pancreatic cancer to steal even one more day of his life that it had to? We were so moved, we were proud, we knew him to be a man of courage, a hero. Oh, how our culture has changed. "Death with dignity" is a euphemism for suicide, in the same way that "choice" is a euphemism for abortion. Suicide is not a good, and it is not in keeping with human dignity. For all those patients fighting the good fight, calling suicide "courageous" is a kick in the gut. Okay, I'm ready to discuss if you are.